The conclusion of the article is that further medical approval is very needed. In Estonia, salt therapy is a recognised part of the rehabilitation cycle. 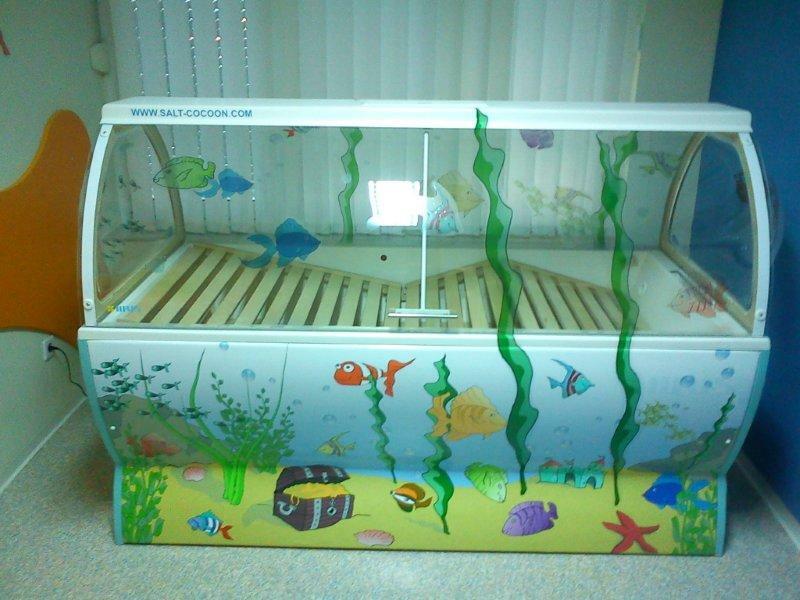 Salt rooms can be found in national hospitals and rehabilitation centers. Asthma sufferers can go to salt rooms for free because it is financed by the National Healthcare Fund...the rest of the world needs to follow up in this!! 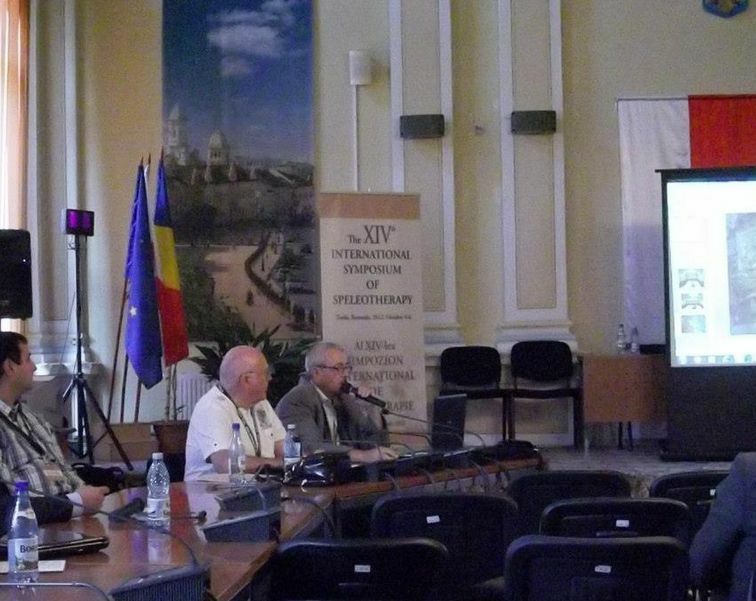 On 4-6 October, the XIVth Symposium of Speleotherapy was held in Turda, Romania. 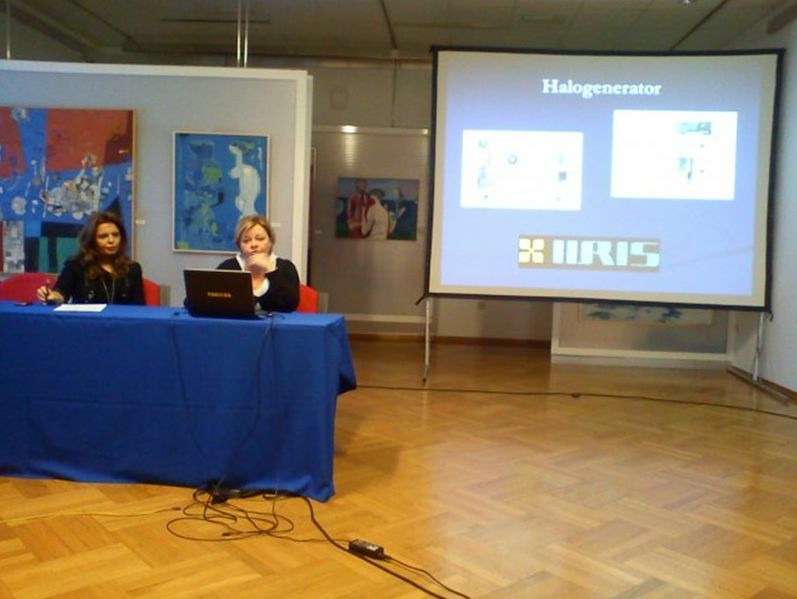 IIRIS representative participated at the symposium and presented our state-of-the-art halogenerator IIRIS-136. The abstracts book is also available online. It provides interesting introductions into various practices in salt caves and salt rooms but there are also instances where salt therapy was combined with other therapies such as balneotherapy, acupuntctue and therapeutic salt lake mud therapy. The patients with various conditions such as psoriasis, dermatitis, bronchial asthma, pneumonia and chronic obstructive bronchitis were investigated. READ the abstracts! Often times when we talk about salt therapy, we are mentioning its curative effects in case of asthma, broncihits, dermatitis and hay fever. However, how many of you have experienced the benefits of salt therapy thanks to its ability to re-establish fluid, sodium and electrolytes balance in our bodies? Not only does the salt therapy lead towards stronger lung capacity and youthful skin - it has a balancing effect on the body as a whole. This effect has now been experienced by people suffering from auto-immune diseases (lupus, arthritis) who are on a daily treatment of oral corticosteroids such as medrol (methylprednisolone) or prednisolone. This drug is known for its uncomfortable side effects, most importantly – the fluid & sodium retention and electrolytes imbalance. By taking salt therapy while on oral corticosteroid treatment, these uncomfortable side effects can be relieved. Considerable decrease or even discontinuation of use of medicaments in 50% cases. Children who have seasonal deterioration of disease (eg. in winter) had no deterioration if halotherapy was used for prevention. Read this interesting article in Daily Express where experts say that "salt baths ease the agony of arthritis". 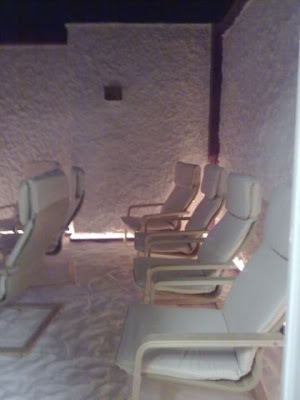 We've had feedback from several customers and the rehabilitation centers that in our salt rooms and cocoons people also get relief to their arthritis and joint problems. From 19 to 23 September, a grandiose fair “MYSTIC” (Int'l Fair of Alternative & Healthy Lifestyle and Border Areas of Science) was held in Zagreb, Croatia. At Mystic, Salt therapy was represented by Natalis Samobor – IIRIS representative in Balkans (http://www.natalis-samobor.hr ). 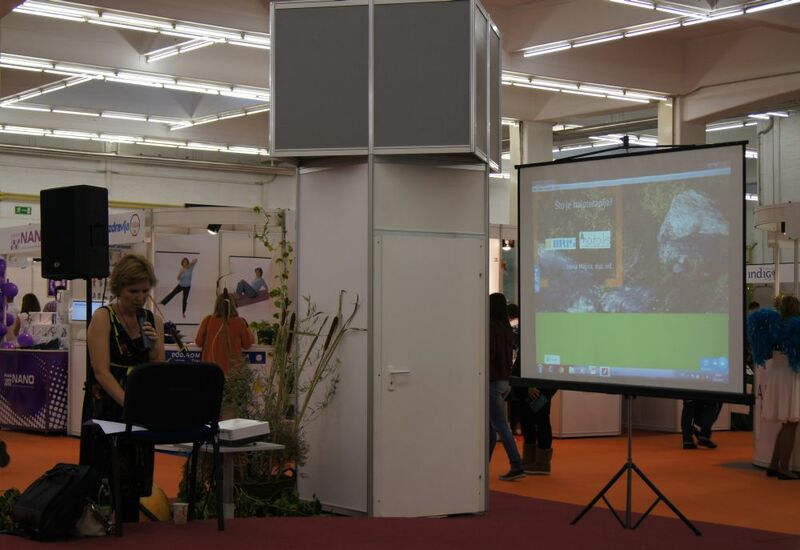 But IIRIS company representative also visited and participated at the fair. 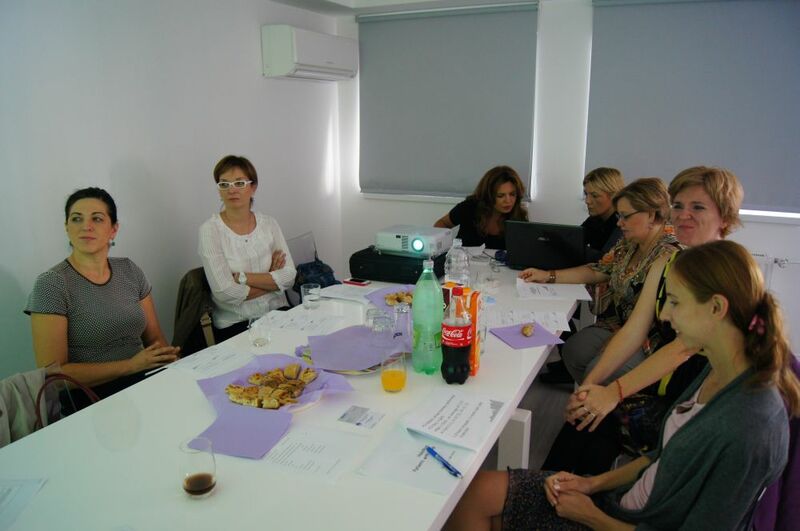 Also, the owner of IIRIS salt room in Maribor, Slovenia – Ms Maja Mrevlje (www.perfectbody.si ), participated as a visitor. 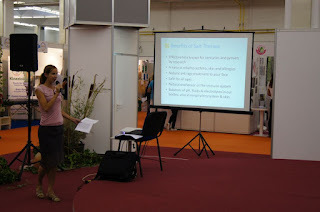 The series of presentations were given at the fair. 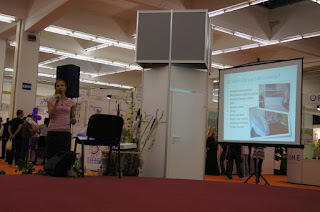 Beneficial qualities of SALT – a vital element in all living beings – were introduced in three presentations. First of them was given by the recognised homeopath Ms Tatjana Oršolić, B. Sc. 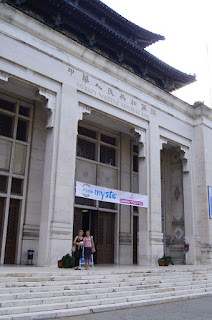 of homeopathy, London School (www.homeopatija.com) who emphasised the connection between salt and homeopathy. The best example is the preparate natrum muriaticum (Nat mur). Nat mur is nothing more than salt in homeopathy and it has almost the same effects as halotherapy (salt therapy). NaCl is a single molecule with 2 elements - it is very simple and has energizing and purifying effects. It is one of the most famous homeopathic polychrests because it has amazing effects on human health. Nat mur is indicated for: allergies connected with upper airways, mucous membranes, tonsillitis, bronchitis, rhinitis, otitis; also emotional disorders, gynaecological disorders, skin conditions etc. Nat mur or salt rock is connected to evolution of life and this molecule is very important for the human being as a whole. 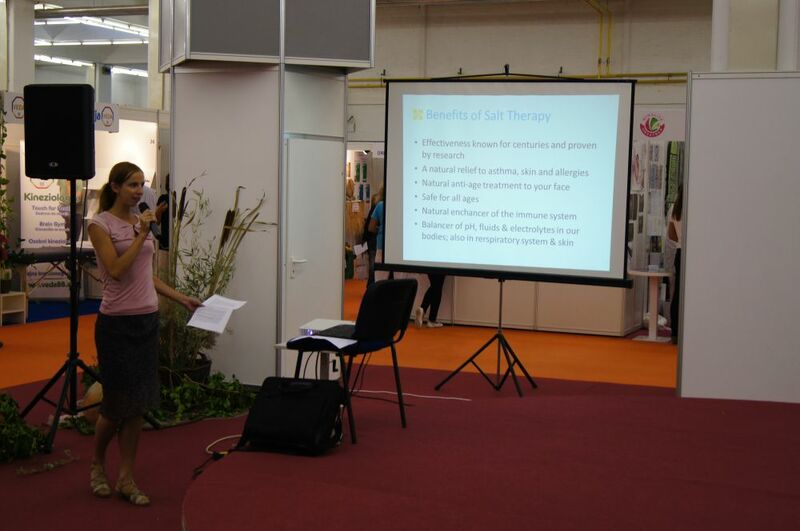 Salt therapy in general terms was introduced by Ms Irena Majica from Natalis Samobor. 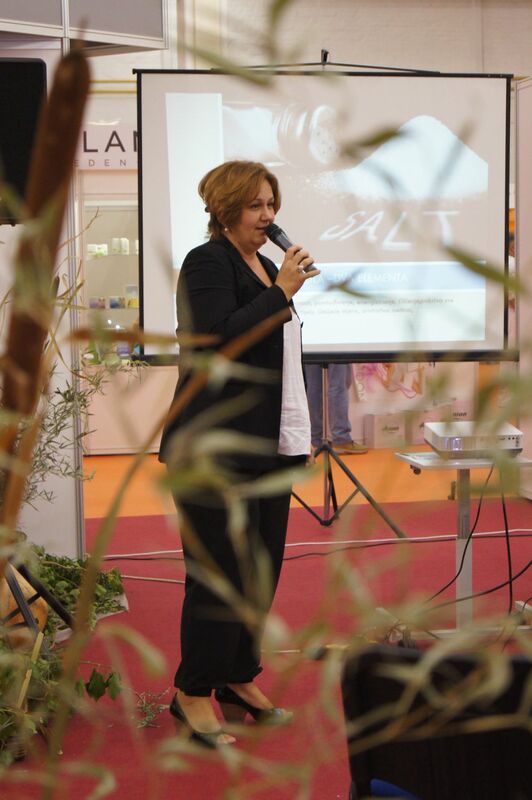 After that, Ms Eva-Liisa Salin from IIRIS Salt Therapy introduced the salt cocoons – a new way to provide salt therapy. We hope that these presentations are one more step towards raising the awareness that - like two sides of the coin - SALT is a real gift of our Mother Earth. If used in a proper way, it can bring our bodies to balance and relieve many illnesses and disorders. 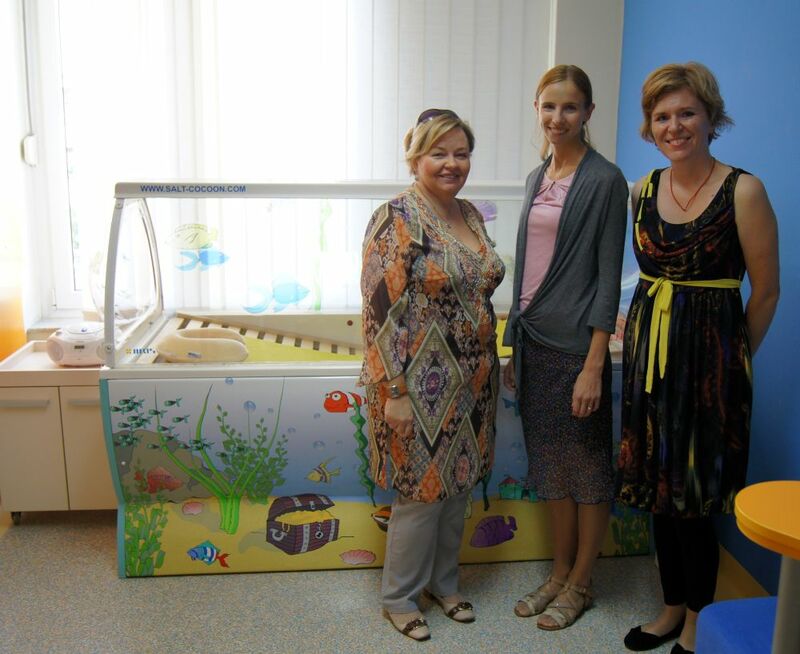 Since November 2011, IIRIS salt cocoon has been in use in Helena children's clinic in Croatia. Doctors and parents have followed the effects of salt therapy in case of 30 children who have tried it so far. Many parents have come wondering whether the salt cocoon can alleviate their children' health conditions? Whether it can bring relief? The preliminary examinations show very good effects in case of various dermatological & respiratory conditions. Check this video to learn more about the IIRIS salt cocoon at Helena clinic. 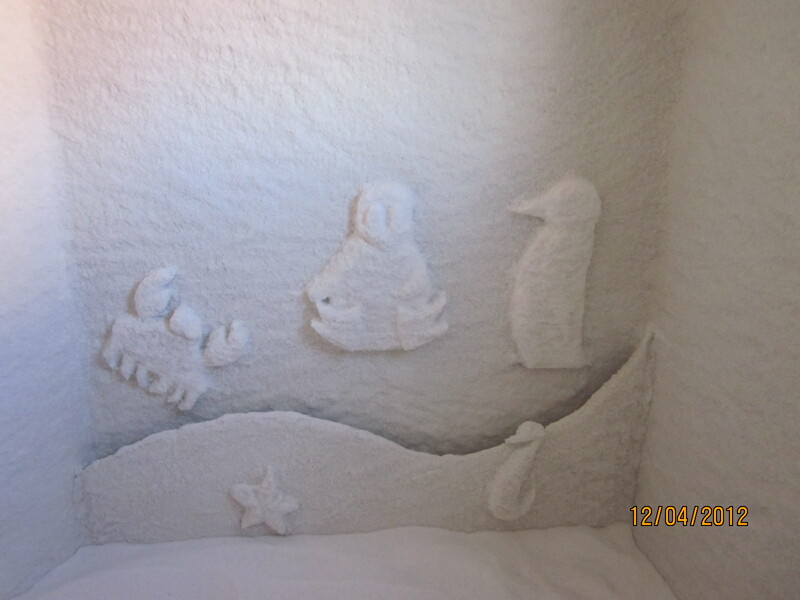 This spring, a new salt room was built in the kinder garden "Pingviin" (The Penguin) in Narva, Estonia. In Estonia, there are quite a few salt rooms in kinder gardens, especially in those which are for children with special needs. Salt therapy strengthens the kids' immune system, is good for their joints and helps their boddies to resist various allergic reactions. It is also good for mental stability. 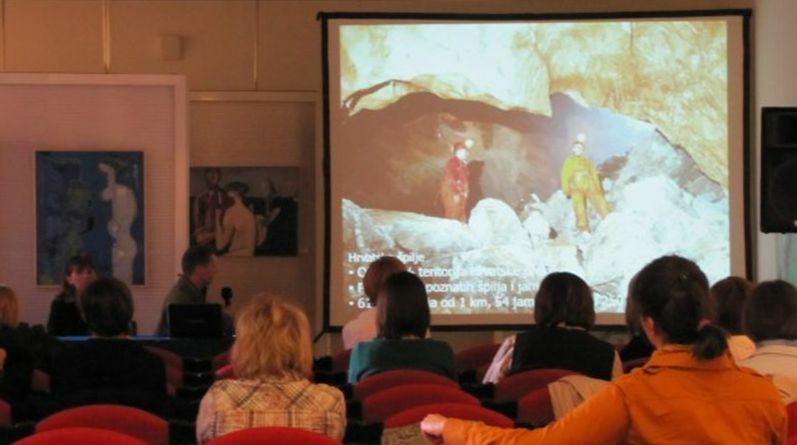 Last weekend, on 30-31 March 2012 a Congress of Natural Therapies was held in Samobor, Croatia. A wide range of topics were presented. Halotherapy was one of them. Congress was listened by doctors, pediatric doctors, pulmonologists etc. 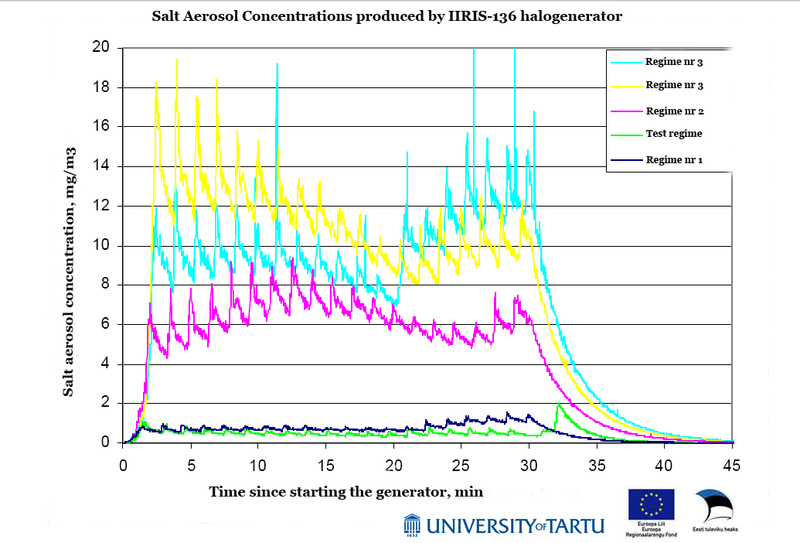 Emphasis was also placed on the characteristics and quality of the halogenerator that is used to create salt-cave microclimate conditions in the salt room. Salt room is recognized as something general but there is a big difference. Conclusion - at present, there is interest among citizens and doctors toward complementary methods and for this reason we will continue to work on educating people in order to raise awareness regarding halotherapy especially! Founded by Glynis Brewster, the CariBreeze Wellness Spa, home of the Caribbean’s first Halotherapy room, was established to provide a total wellness center in Trinidad and Tobago. A registered nurse with over thirty years experience in health care, Glynis has an unparalleled enthusiasm for seeing and helping people achieve their very best by empowering them in body, mind and spirit. As a main part of her wellness spa she has innovatively instituted Halothearpy, a non-intrusive, natural treatment for various respiratory illnesses as well as other diseases. Tell us about your company Caribreeze Wellness Spa Ltd? 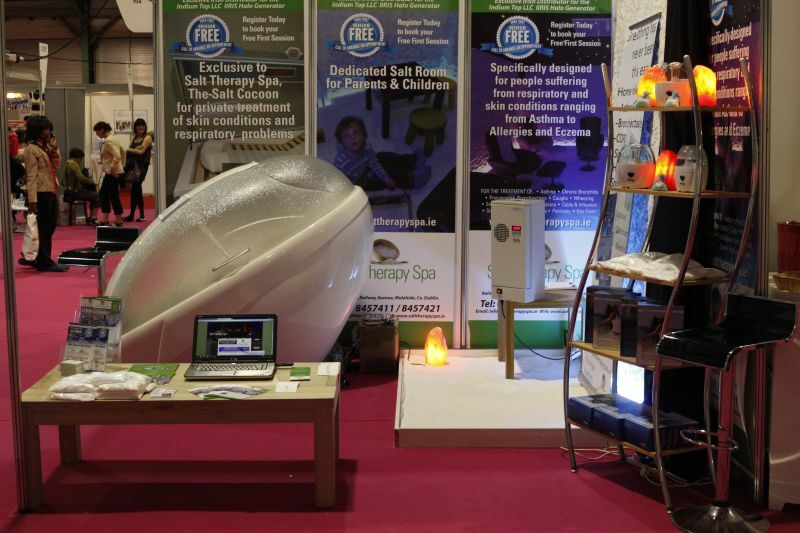 Why Halotherapy as part of your services? What type of illnesses does Halotherapy treat? “Mainly respiratory illnesses. Salt therapy has been clinically proven to bring significant relief from symptoms of various illnesses without the use of drugs. These illnesses include allergies, sinusitis, bronchitis, asthmas, common cold, COPD, cystic fibrosis, and even stress. 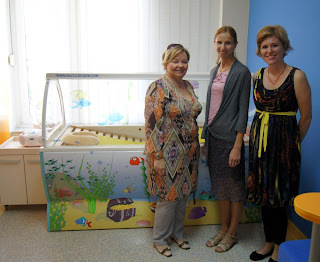 Paediatric asthma cases in different countries have seen a high success rate using Halotherapy. After 1 or 2 yrs many children have been taken off large doses of inhalers and steroids. 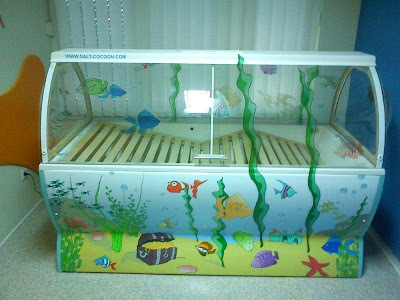 Children and adults alike respond quickly to the complimentary therapy, and whether the child is suffering from allergies, asthma or any kind of infection, Salt Therapy assists in reducing inflammation, opening passageways, alleviating tightness of the chest, loosening mucus and killing bacteria. Explain more of the procedures and science behind Halotherapy? Usually by referrals, clients can book their appointment at the spa between Monday to Saturday, 6am to 8pm. Once at the spa, clients are interviewed specifically about their health history and lifestyle and what are their aspirations. 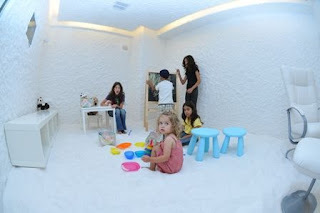 The procedure is very simple, you enter the salt room and make yourself comfortable. While you relax and breathe naturally the micro-climate clears and cleanses the respiratory system. Positive ions are converted to negative ions which strengthens the immune system. There are no microbes or allergens so the immune system gets a chance to rest. After this the defenses begin to work alone. Many of our problems start when the immune system breaks down and because we are exposed to so much pollution it is ever more important to clean the lungs in order to avoid developing asthma or terminal illnesses. Pulmonary Critical Care physicians have explained that while Halotherapy does not replace conventional medicine the ‘Salt therapy acts as an anti oxidant reducing inflammation in the airways’. 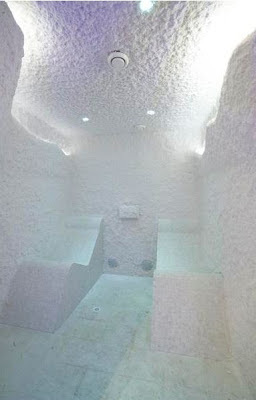 Halotherapy is derived from speleotherapy - the treatment in the natural salt caves, mined for rock salt. These salt deposits were formed as horizontal salt beds in ancient oceans and were later buried deeply beneath sediments as mountains eroded. Although virtually unknown in North America, Speleotherapy has been practiced in salt caves of Eastern and Central Europe for over 150 years. 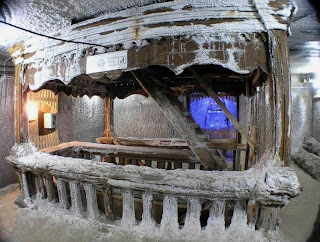 During the late 18th century the doctors noticed that the workers of salt mining industry never suffered from bronchial or lung diseases, which they realized was due to high salt aerosol content in the mines. In a modern version of this ancient therapy halogenerators are being used in a controlled environment to offer the benefits of the natural deposits found in rock salt. These minerals when concentrated in an enclosed area with stable air temperature, humidity and the absence of airborne pollutants, offer tremendous relief to the respiratory system. These salt particles are then small enough to penetrate deep into the lung tissue. For further information on Halotherapy contact us at 868-392-1760, 487-1626, 222-9804, email caribreezewellnesspatt@gmail.com or visit Caribreeze Wellness Spa on Facebook. Halotherapy is a therapeutic method and has a number of beneficial effects on organ systems, particularly on respiratory system through inhaling the dry salt aerosol in salt room which is copies the conditions in natural salt caves. The conditions in the salt room are controlled - the air temperature is 18-24 C, humidity 40% -60%, the average particle size of salt 2-5um, the air is free of allergens, salt concentration 0.5 mg/m3 and higher. It is a complementary therapy, numerous studies have proven its effectivness, it isn't harmful, and the costs of treatment are acceptable. Unfortunately, this method of treatment is undeservedly in the shadow of medication therapies. In recent decades, numerous scientific articles were written that prove the effectiveness of halotherapy on respiratory diseases. Parents are interested in this form of therapy when it comes to their children, since it is a method of treatment which has a small number of contraindications and side effects, and for children it causes no traumas. From our experience, most patients are children of kindergarten age. Halotherapy is effective on infants, especially in eliminating the accumulated mucus in the upper airways, during the banal respiratory infection. Due to specificity of infancy we advise a great caution and make sure to review the child and have good cooperation with the personal physician before you begin halotherapy. Constant medical supervision is required which is why it is necessary that in this instance, salt rooms are operated by the medically trained personnel. To achieve a therapeutic effect we suggest 15-20 treatments (certainly not less than 10). After the first few treatments there may be an initial worsening of symptoms in terms of intense coughing, wheezing that is in most cases, the expected transient response after reaching the elimination of secretions from the respiratory tract and does not require interruption of therapy. Approach to the patient should be individual, in this sense that the salt aerosol concentration, frequency, length of treatment depends on age, types of disease and response of the individual. In Croatia halotherapy is still in the private domain and therefore is not recognized and supported by a doctor in true sense. 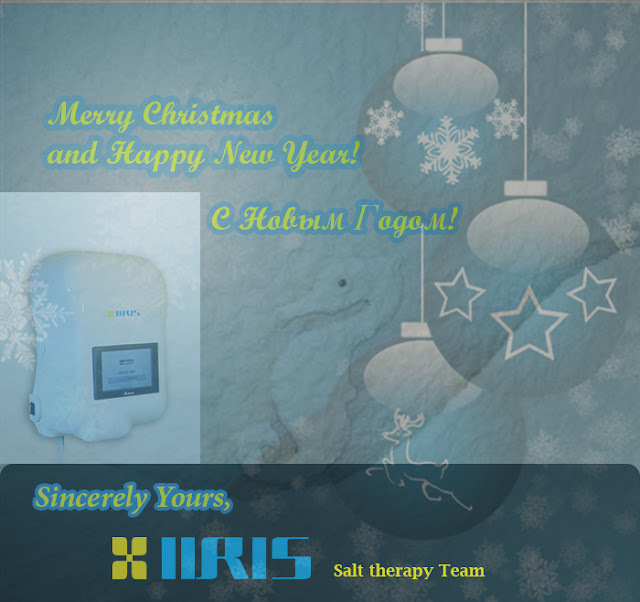 Children's Policlinic in Zagreb in cooperation with the manufacturer of halogenerators IIRIS from Estonia and regional representative of IIRIS halogenerators from Samobor, Natalis Samobor Ltd and Natalis salt room plans to conduct a controlled halotherapy with medical monitoring of their patients and clients. This will show the effects of halotherapy on children with asthma, bronchitis, frequent respiratory infections and atopic dermatitis. Our wish is that this natural method for complementary treatment and rehabilitation is carried out under controlled standardized conditions with medical supervision, and thus takes its rightful place. Following the example of Estonia, Russia and Canada we want that halotherapy finds its place in Health care system in Croatia! Watch the video with English subtitles! Salt cocoon and IIRIS halogenerators exhibited in Ireland last summer. Salt Therapy in salt cocoon - how it works? Recently, our company has been addressed with several questions regarding the salt cocoon - why is it good; for whom and how it works. 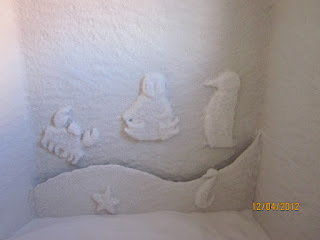 In a salt cocoon, it is possible to get even closer contact with the salt aerosol than in big salt rooms. The salt aerosol comes either from behind the patient's neck (Saltarium) or where his/her feet are located (IIRIS). In first case, the patient sits, in second case he/she is in a lying position. The privacy is guaranteed and relaxing music or stories (for kids) can be listened during the sessions (avg 20 min) while the salt aerosol provides relief to respiratory tract, skin, body and mind. How the salt cocoons work? 3) the third in case of dermal problems (dermatitis, psoriasis, acne, skin infections etc), arthritis and movement difficulties, stress, skin improvement purposes (beauty) etc (concentration up to 16 mg/m3). The standard time of the session is 20 minutes. If a person has several serious health concerns, eg asthma and dermatitis at the same time, it is recommended to choose the regime suited for asthma and move forward to higher regimes if the person/doctor feels comfortable with that. 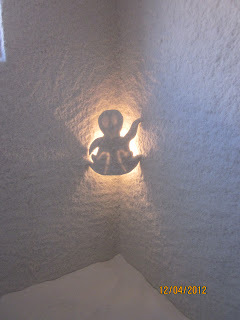 Salt cocoon at children' clinic in Croatia. Decorated nicely for kids. -it fits mother with the child. 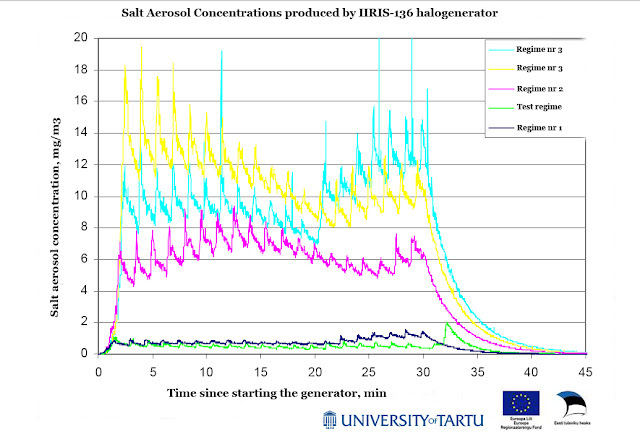 If a person or a doctor decides to administer different concentrations, then it is possible to choose the manual settings of the salt generator which enables to adjust the mill, feeder and fan speeds manually. 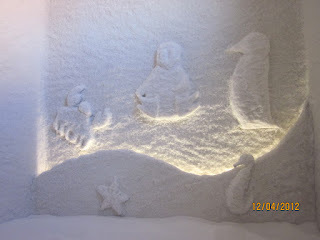 Where is it possible to try the salt cocoons or to get more information locally? Salt therapy is gaining massive popularity with special treatment rooms being set up to help those suffering from a range of medical conditions...This is told at Australia News Tonight. "During sessions, machines grind up pharmaceutical salt to a fine dust that is then dispersed into the room and inhaled. What the salt then does is it naturally draws fluid to it, so therefore it helps relieve the inflammation of the airways. It then naturally breaks up all the congestion." Salt therapy has Therapeutic Goods of Australia approval, but Linsday is now pushing for a Medicare rebate. Check this link to get a short video overview or to read the full text.